Living with mental illness is a struggle. Families and friends who want to help a loved one need information and support. They must know how to connect and help their struggling family member. They must find the balance between helping too much or not enough. May is Mental Health Month and for over 65 years Mental Health America (MHA) and its affiliates across the United States have led the observance of May is Mental Health Month by reaching millions of people. This year’s May is Mental Health Month Campaign will use the theme B4Stage4 and will focus on how people can address their mental health early, rather than at “Stage 4” – when symptoms are more severe, and recovery a longer process. These books are written for all families, friends, educators, or the individuals themselves who are looking for advice about the steps to take when mental illness is taking all they have… zest for life, relationships, friendships, career, and a happy childhood and school years. Defying Mental Illness focuses on recovery where people make progress, get better, and control their own lives. It also goes beyond recovery and shows people can use their strengths and skills to flourish and have a future. Successfully dealing with mental illness takes the right treatment, self-will/self-monitoring, family or community support or case management, vocational activity (including school), spirituality, and rediscovery and reconstruction of a sense of self. Readers find information on choosing the right treatment, paying for mental health care, housing assistance programs, employment, disability benefits, involuntary hospitalization, near-term and long-term suicide prevention, the criminal justice system, and links to allies and advocacy groups, and more. It is easy to read, positive and complete. The book covers schizophrenia, depression, post-traumatic stress disorder, childhood mental illness, suicide prevention and more. This guide book compliments the first book that Jessica Minahan co-authored with Nancy Rappaport, MD, The Behavior Code: A Practical Guide to Understanding and Teaching the Most Challenging Students. In The Behavior Code Companion you find additional and updated interventions for these groups: children with anxiety-related and oppositional behavior. The book concentrates on strategies for the K-6 grade levels; however, teachers and parents of older children will benefit from this book also. 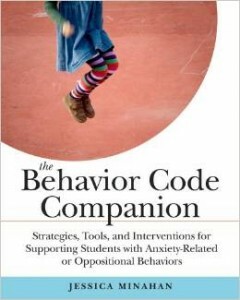 The Behavior Code Companion provides additional interventions that were not included in the first book, among them, ways to assess student progress, mitigate the effects of a student’s anxious thinking, engage students in learning which interventions work for them, assess correct implementations of interventions, and how use of the protocols keeps a student safe in a crisis. Chasing Hope is the special needs, parenting guide book Christine Walker wished she’d have to help her raise her son diagnosed when he was four with ADHD, bipolar disorder, and autism. It is a powerful and poignant memoir, an instruction manual for families trying to navigate the complex and overwhelming world of children’s mental health, a resource for educators, pediatricians, and mental health professionals, and an eye opener for policy makers. Parents will appreciate reading about their experience with finding the right medication for their son. They will be able to relate to her accounts of the side effects, no effects, increasing or decreasing dosage, combining meds, trying wafers, pills, skin patches, powder forms, etc. All this is written in a lively, entertaining manner making a difficult topic easy to swallow. Christine would have wanted candid, real-world straight talk about what they were dealing with. She brings up her exhaustion, frustration, and exasperation and needing to take anti-depressants. Her goal is to provide parents of special need children with specific, tangible actions that can make a difference in their family life and their child’s life. It is a self-guide for individuals in the early and middle years of adulthood with autism spectrum conditions. 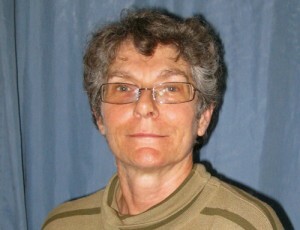 The author takes the best of CBT self-help strategies, to encourage self-analysis, and to help adults on the spectrum make better decisions in activities such as employment or relationships. Accessible and easy-to-read, this book provides evidence-based tools that can be used to learn new self-fulfilling ways of thinking, feeling, and doing. It includes questionnaires, forms/worksheets, and exercises to help the reader. This workbook can be used by an individual doing each page alone in their recovery from mental health struggles and /or addictions. It can also be used with a therapist or other health care specialist, and can also be used in peer group settings or support groups in a recovery program. The format used throughout workbook in the same. There are 76 uncluttered pages 8 ½ X 11 inches with text in a pleasing font and lots of blank spaces for your notes and answers. On each topic, the author has a simple half page to read. It is written in the first person and this makes you relate it to your own life. The rest of the page is a blank space for your personal notes. The next page has 3 questions and space for you to answer. Setting aside 20 to 30 minutes a day to do this should help the reader to check in with his emotions.